"The following recipe will replace one can of soup in recipes calling for condensed cream of chicken soup. If your recipe calls for two cans of soup, just double all ingredients. 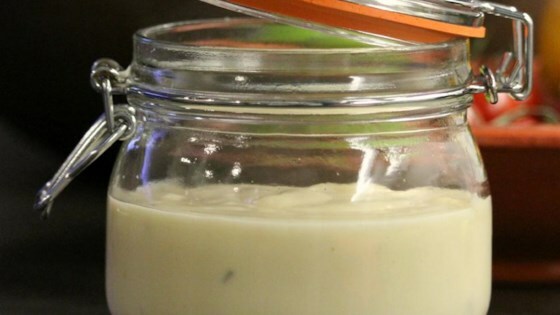 Use in your recipes exactly as you would canned soup." Stir chicken stock, milk, and cornstarch together in a small saucepan until cornstarch is dissolved. Cook over medium heat, stirring constantly, until bubbling, about 5 minutes. Reduce heat to medium-low; continue to cook and stir until mixture is very thick, about 5 minutes. Remove from heat. Make sure use gluten-free chicken stock, not broth. WAY too much cornstarch. Sets up like concrete if used in a recipe. I ruined two huge trays of green bean casserole with this recipe. Try using only two Tbsp. of cornstarch. It works! This is way too easy. It only needed about 3 minutes to thicken up so keep your eye on it. Thank you for the recipe. Made it, but for mushroom soup. Used the "juice" in the mushroom can. chopped the mushrooms. Turned out awesome. I made this to add to my chicken divan recipe. Great substitute and flexible enough to add whatever you like to add more flavor. Definitely use stock--it's much more flavorful.